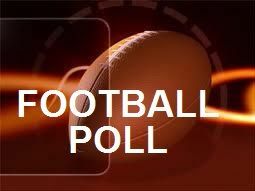 UNDATED - The South Dakota Prep Media football polls for the week of Oct. 1 are listed below, ranking the top-five teams in each class. First-place votes received are indicated in parentheses. Receiving votes: Lennox 6, Todd County 4, Dell Rapids 3. Receiving votes: Beresford 4, Lead-Deadwood 4. Receiving votes: Hamlin 1, Webster Area 1. Receiving votes: Alcester-Hudson 17, Howard 2. Receiving votes: Faulkton Area 7, Harding County 2.